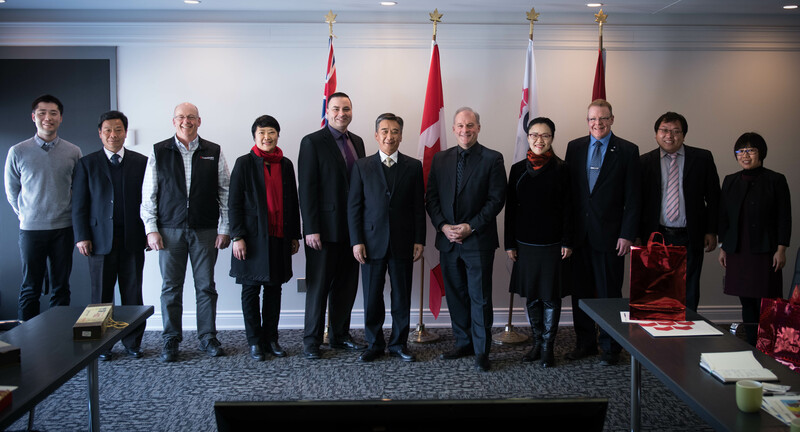 A delegation from Zhengzhou University of Aeronautics (ZUA), located in Zhengzhou Shi, Henan Sheng, China, visited Canadore College earlier today to discuss potential educational pathways and exchanges between the institutions. "This is the university's first visit to North Bay," said George Burton, president and CEO of Canadore College. "Our teams now have some homework ahead of us to see how we can create mutually-beneficial collaborations."